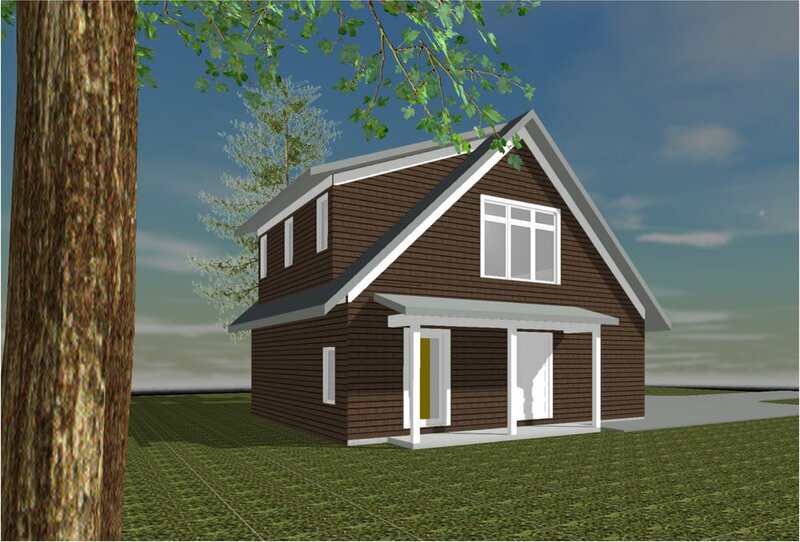 Garage Three is a classic cape style gable with a shed dormer creating ample space on the second floor for a studio or exercise room. The stair is designed to be within the heated envelope and features a separate entrance. 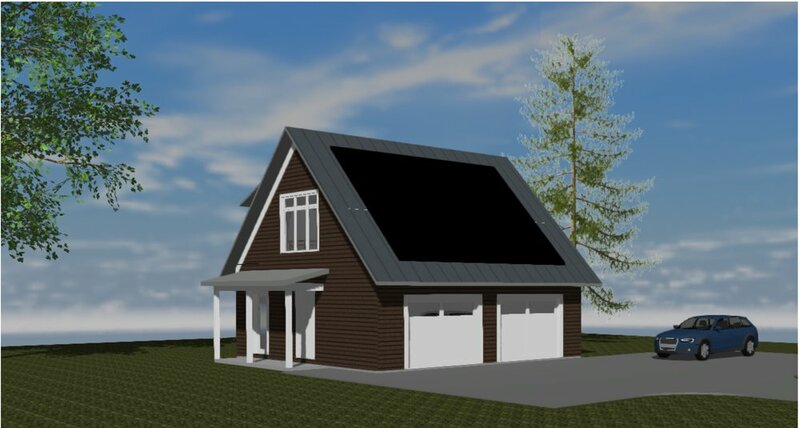 The photovoltaic array could easily be on the dormer roof as the specific siting of the garage requires.